The musical/lyrical concept hath it's birthday under the season of autumn with a thematic within the black/folk context under the name of Long Winter onto the embodyment of two lone souls working on their musical opus in a passive form when it is found another dying soul and on this stalks the union of the deepest projects/ideias inside the funeral/doom context basically keeping all the initial ideia and embodying it, balancing it with the arrival of the new tragic conception. From the first and original band embodyment only remains until the present age Kleber Fainer and Julio Fachini. 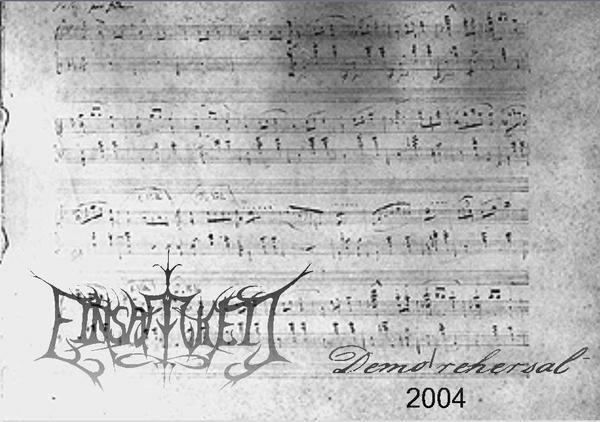 The sonority is based on a classic/arcane and symphonic atmospheres, ultra romantic melodies with dark/arcane interludes. The band incorporate on its music black/folk metal contents working on in a very original way, the harmony is very dense evoking the echoes of autumnal vistas. The lyrical contents speaks about ultra romantic poetry, based onto pessimism and melancholic nihilistic resolutions and faded hope, overloaded inspirated on Schopenhauerian philosophy and ancient poetry in general. Hath begun finally the first abstractal manifestations of ideia (rehersals) the yore musical/lyrical excerpts hath taken form. For the very first time is coming forth a clear path where shall be spread and fixed the tragic/ ultra romantic concept to all the aware and unaware souls spreading all the fundamentional ideia of the phenomenon clarifying all the the metaphysical death of all illusion mystified by nature throught the human instinct. Currently the band is working on a particular song that shall be released within a doom metal bands compilation only with doom metal bands from the south of Brazil.